Family Life Credit Services offers faith-based credit and financial counseling. Don’t live in or near West Fargo? Don’t worry. 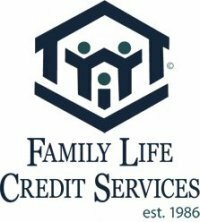 Family Life Credit Services also conveniently provides confidential phone counseling. At Family Life Credit Services, anyone can get help without having to set up an appointment. Individuals can call (800) 747 9307 to speak directly to a certified credit counselor. Once someone calls Family Life Credit Services, a counselor is assigned to that client through the entire process. Individuals are able to connect with their counselor and begin getting organized. Counselors start by gathering specific information such as credit card statements, values/balances of assets and liabilities, and a general idea of monthly income sources and spending habits. This process can be done over the phone. After speaking with a certified professional, Family Life Credit Services helps callers understand the best plan of action for their specific financial situation or circumstance. After working with a counselor, the strategy is put together. The credit counselors offer assistance by helping with debt management and providing education and resources. They also provide credit counseling and pre-filing bankruptcy counseling. Need help or have questions? For more information, please visit www.familylifecredit.org.